I exclaimed as I rubbed my engorged belly, still smacking my lips at the taste of Wild Boar that lingered on my truly excited taste buds. 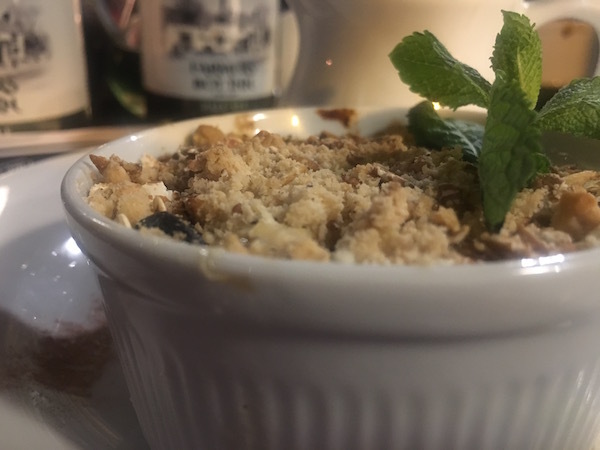 I had just finished an exclusive three course meal set fare at the Farmers Boy Inn that I nearly asked for a wedding between the chef and I just so I can have this delicious food to make me stay in the Forest of the Dean for the rest of my life. IT WAS THAT GOOD! I know. I’m in love too. But what’s to make it even better? All washed down with several bottles of Hillside Brewery Ales – preferably the dark ales. I’m manly like that. Let’s find out more about them? A small brewery, (by the way, they do brewery tours if you’re interested but you’ll have to get into line behind me, right? 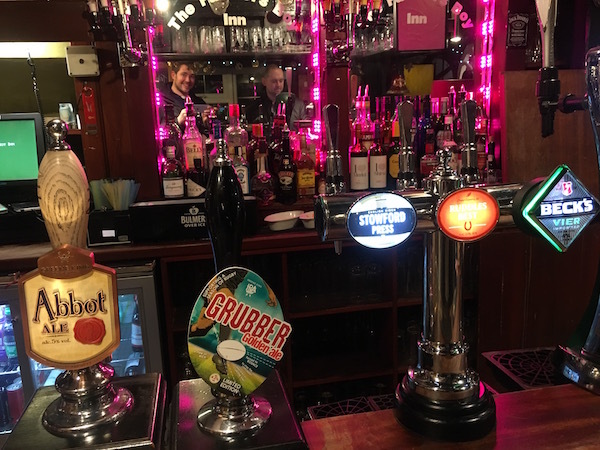 ), Hillside Brewery produces craft specials to their scrumptious core range, the key thing about them is that they are local to the Dean Wye Valley. I mean. very local. 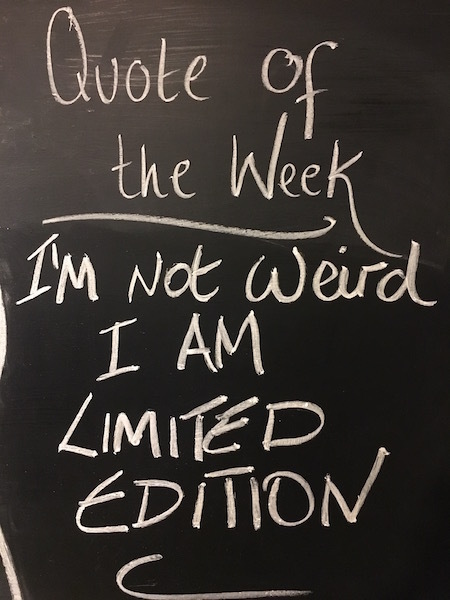 They are a brewery that is part of the local community and employs local people who can spent money on local businesses, which is a great ethos that promotes and compliments such a delightful area. A big win for me is that they are extremely green. They reduce their waste in the brewing process, in the shop, packaging and office. They also run on solar power, a net exporter of energy and recycle everything they can. A huge big tick for me! But what about the bottles themselves that I was able to try out for myself (rather too gladly, I admit)? Mad About Pies – this dark ale was what’s just needed after a day of mountain biking and caving. With the earth and soil from the Forest of the Dean still on my body, it did feel good to place a refreshing but not heavy taste that was brewed in the Dean Wye Valley. A definite must drink. 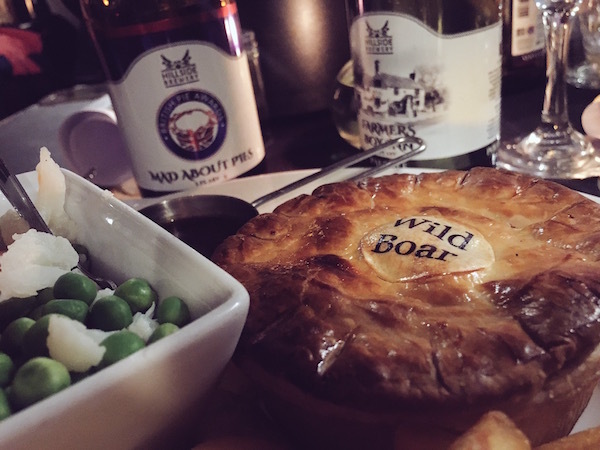 Legless Cow – this best bitter with a rich caramel flavour with a smooth citrus hop finish is definitely one to have to perk yourself up after a Wild Boar Pie. 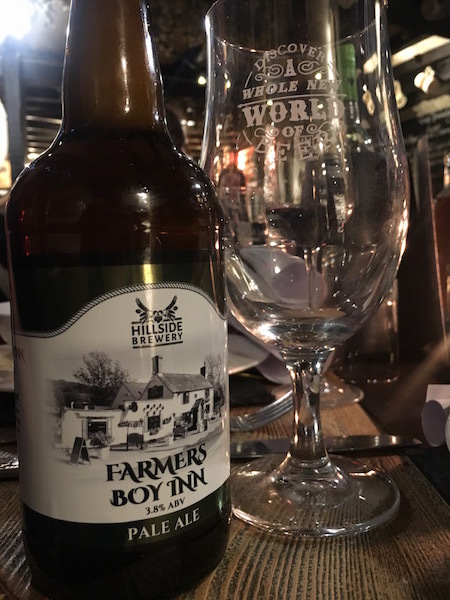 Farmers Boy Inn Pale Ale – This quirky Farmers’ Boy Inn pale ale was a nice gimmick given that we drank this on the premises. Mouth-wateringly brilliant, I couldn’t stop ordering yet another one. Can I have a delivery please? You can find out more about Hillside Brewery – if you’re visiting the area, please do check them out! So, back to the Farmers Boy Inn. 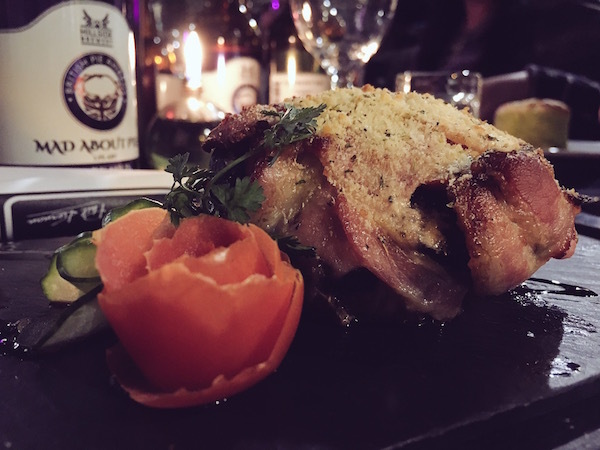 Hidden away in the heart of Gloucestershire and the Herefordshire Borderlands in Longhope, the Farmers Boy Inn is a treat to stop for dinner and perhaps even stay over to at their accommodation and admire the views around. We were picked up by chirpy Phil, the owner of the place, using his chauffeured car service, (this sounds promising!) and swiftly taken to the pub restaurant. Walking in, my smile widened. This was my kind of place. This was a proper country pub that awaited us. 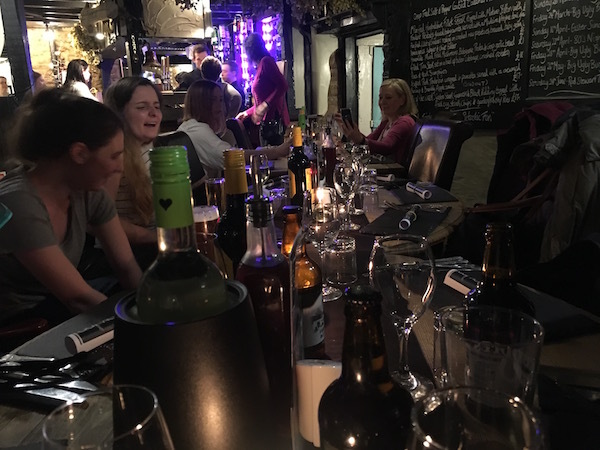 With a roaring hearth fire and knick knacks on the walls that echoed back the friendly smiles and hellos from the (very attractive) bar staff, I bent my head forward to get through to our gorgeously prepared table. So, as you know, I had a delicious dinner. Too good a dinner. It took every ounce of my being not to bang on the table and scream out for more. I think the staff had the great foresight to remove the menu before I could have a second glance at it. I would have been there all night pretending to be like King Henry VIII at one of his banquets! I’ll definitely will be back. Perhaps to try the Big Ugly Challenge? Just count me in! I hope that I got you salivating! I genuinely believe that Forest of the Dean and Wye Valley has probably the best English and Welsh food there is to offer in Britain. I know I’m biased but this region on the Welsh border can give the others a run for their money! So, watch this space for more foodie and drinking adventures in Forest of the Dean and Wye Valley! Do you need to know more about Forest of the Dean and Wye Valley? Why not check out my other posts too! 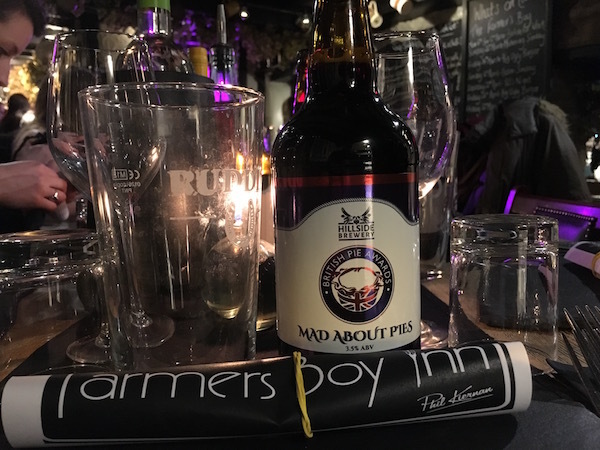 I just want to say a huge big thank you to The Farmers Boy Inn and Hillside Brewery for giving me the besets pub restaurant food and drink experience and for being your awesome selves! Can’t wait until the next instalment of my Forest of the Dean/Wye adventures in the UK? Why not follow this hashtag – #DeanWyeBloggers on any social media channel and discover what we actually got up. This article has been produced as part of a blogging series in partnership with the DeanWye Tourism Board. The food looks extremely mouth-watering, yummy! In love with the wine collection. Great article. This Food look so yummm! Can’t wait to try this at home. Thank you for recipe. This looks so nice. I would like to have all these drinks. Lovely. Nice pictures Rexy. Thanks for sharing them. I plan to visit one of these places in future on my next trip to Europe.